Welcome to F1Minute for the 4th July 2008, coming at you from the grounds of the Silverstone Circuit. We’re here for all three days so let me fill you in on what happened today. In Free Practice 1, the two notable events were interconnected. Alonso’s Renault engine blew up, leaving oil all over the track. Moments later, Massa’s Ferrari hit the slippery surface and spun 180 degrees before smashing into the barrier. It was a heavy crash but he climbed from the car unscathed. Because of the excess oil on the track, and the limited running that took place after the red flag, Massa managed to hold on to the fastest time, despite not taking any further part in the session. In FP2, Glock broke down, pulling his Toyota to the side of the track. Just as soon as his car was recovered, Trulli sent his Toyota into the barriers as well. If that wasn’t enough excitement Nakajima also had an incident that saw him return to the pits minus a front wing. Both Hondas and Toro Rosso were notably high up the timesheets in FP2, whilst Kovalainen reigned supreme. 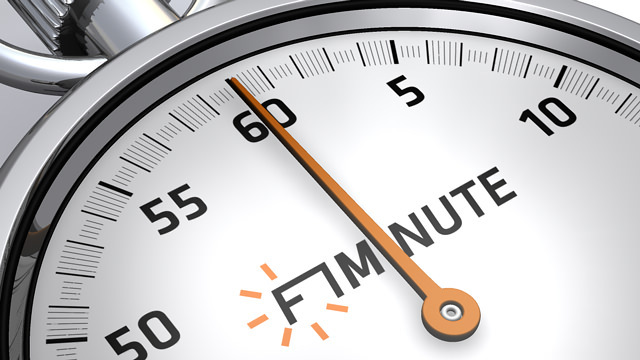 That’s all for today, join me again tomorrow for another F1Minute.